Melissa Marino is a full-time writer and part-time Storm Trooper collector. When she’s not writing, you can find her watching Friends reruns, mastering her cupcake frosting swirl and hunting for the perfect red lipstick. 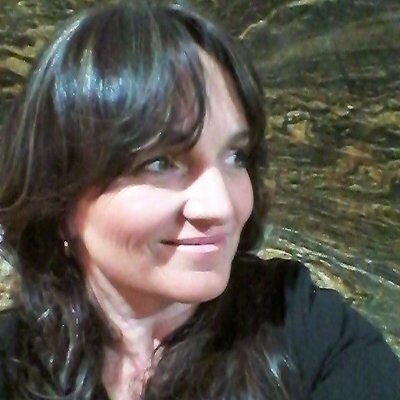 Melissa lives in Chicago with her husband, son and very opinionated dachshund. He is the author of the Burned Man series of urban fantasy novels (Drake, Dominion & Damnation) published by Angry Robot Books, and the forthcoming fantasy Priest of Bones from Ace/Roc. Sarah Hawthorne lives in the Pacific Northwest where she drinks too much coffee, plans a lot of vacations and writes romance novels. Her native habitats include her garden and the local library. Sarah received a Bachelor’s Degree from California State Polytechnic University of Pomona, Los Angeles with a major in history and a minor in English. She is the author of the Demon Horde Motorcycle Club Series. The series is a sweeter take on motorcycle club/biker romance genre, published by Carina Press/Harlequin. She is represented by Jessica Alvarez at BookEnds Literary. Sarah was a 2016 Golden Heart Finalist (contemporary short) and the winner of the 2015 Heart to Heart Award (erotica). Susan Bishop Crispell earned a BFA in creative writing from the University of North Carolina at Wilmington. Born and raised in the mountains of Tennessee, she now lives twenty minutes from the beach in North Carolina with her husband and their two literary-named cats. She is very fond of pie and is always on the lookout for hints of magic in the real world. 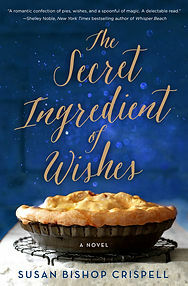 She is the author of The Secret Ingredient of Wishes (Sept 2016, Thomas Dunne Books/St. Martin’s Press) and Dreaming in Chocolate (Feb 2018, St. Martin’s Griffin). Rachel Monroe, 26, can make wishes come true just by thinking about them. But it’s a gift that has caused more harm than good. And after her mother’s death, which Rachel blames herself for, she decides it’s time to leave her hometown—and her past—behind. Set in the time of mix tapes, Pearl Jam, and babydoll tees, My Strongest Weakness is a steamy 25,000 word novella with a dirty talking hero, no cheating, a grand gesture that’ll make you swoon, and a guaranteed HEA. This title was previously released in the ’90s Playlist Anthology. Cailin Sinead’s novels, HEARTSICK and RED BLOODED, have received positive reviews from Library Journal, RT Book Reviews, and USA TODAY. Her writing has also earned accolades from Alfred Hitchcock’s Mystery Magazine, Glimmer Train, and Writers & Artists, and her stories have appeared in multiple publications, including The Alarmist, The Binnacle, Crunchable, Jersey Devil Press, and Northern Virginia Magazine. 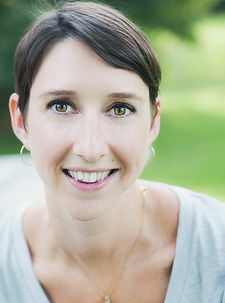 She earned a master’s degree in writing from Johns Hopkins University and is represented by Andrea Somberg at Harvey Klinger, Inc. She lives in Alexandria, VA, with her husband, son, and two cats. Instead of eating ramen and meeting frat guys like most college freshmen, Peyton Arthur is on the campaign trail. Traveling with her mother, the Democratic pick for vice president, she’s ordering room service, sneaking glances at cute campaign intern Dylan and deflecting interview questions about the tragic loss of her father. But when a reporter questions her paternity, her world goes into a tailspin.Dylan left Yale and joined the campaign to make a difference, not keep tabs on some girl. But with the paternity scandal blowing up and Peyton asking questions, he’s been tasked to watch her every move. As he gets to know the real Peyton, he finds it harder and harder to keep a professional distance. Diana became an avid reader when she found her first romance novel tucked away in a corner of her high school library. The more books she read, the more she wanted to be a writer. Diana has a Master’s degree in information systems and accountancy, and for many years worked for a major Fortune 100 telecommunications company as an IT project manager (As one does when pursuing a career as a romance author.) These days, when she’s not writing steamy scenes, Diana enjoys running half marathons, traveling, and indulging in the simple joys of life like wine and chocolate. She lives in Atlanta, and loves spending time with her two children and husband. Her debut novel, LOVE OVER LATTES, is coming out Summer 2018 with The Wild Rose Press. 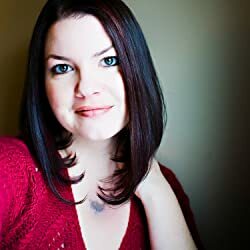 Emma is the author of award-winning Fractured Immortal, and Finding Immortal. Her new contemporary romance These Simple Scars has just been released. Her obsession is New Adult, and Adult Contemporary Romance. When Emma is not writing or looking after her busy household, she’s either reading, gaming or stalking her favourite authors as well as studying for her Masters in Psychology. Thank you to all the mentors. I will apply this year and have been reading about the amount of time they will devote to their mentees and it’s heart-warming, unselfish, generous and all-around great. Whether I get chosen or not, I know they will change the writing careers of many aspiring authors. Pitch wars mentors rock!!! The Last Place You Look sounds good! I can’t believe the unselfishness of these writers to dedicate so much of their time to help someone else grab their dream! Thanks!